Asking a nonprofit board member to resign can be an awkward task, especially if the director has been involved with your organization for a long time. Ideally, the board can base its request on rules that are in your nonprofit's bylaws, prompting the director to withdraw voluntarily without the need for official board action. Directors are typically your nonprofit's most valuable volunteers, so it's often best to end the relationship on a positive note. Your nonprofit's board of directors has a legal duty to operate in accordance with the organization's bylaws. The bylaws should detail the composition of the board, how long each director can hold the position, the board's role and responsibilities, as well as the way to remove a director with or without cause. Typically, state laws governing nonprofits allow the board to remove any director from the position with a majority vote in favor of the action, so the board has this option if the bylaws don't explicitly address removing a director. It's generally easiest to request the resignation of a board member when the action is based on a technical reason that is supported by your organization's bylaws. For example, the bylaws might state that a director can only serve for two years or require a director to resign if a conflict of interest arises that can't be resolved. If the reason for the resignation request is technical, simply raise the issue with the director. 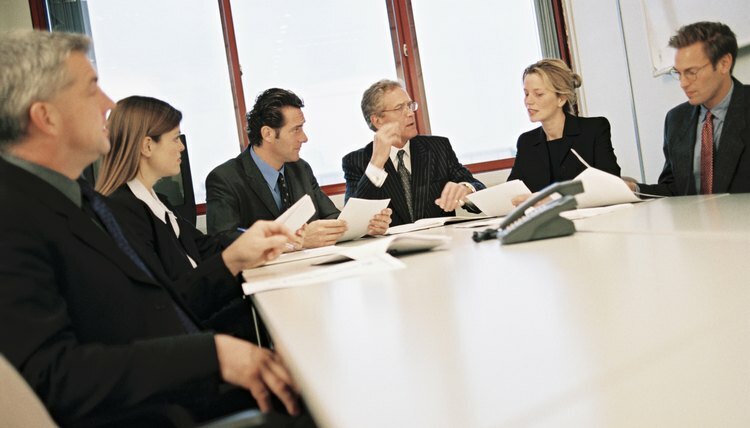 Most board members know that the bylaws control the board's composition and are likely to resign voluntarily upon realizing that the bylaws require such action. When the reason for requesting the resignation of a board member is based on relational matters, such as an inability to work effectively with the other board members, the situation can become awkward. A nonprofit needs a functioning board with members who can work together to further its mission. The board has the authority to vote a director out of his position, unless the bylaws prohibit such action. Typically, it's the responsibility of the board president to negotiate the resignation of a director who the board feels is not contributing to a productive environment by using the possibility of official board action to remove the director if he won't resign voluntarily. Bylaws typically list a range of actions that give the board the right to remove a director for cause such as missing required meetings or mishandling money. While the board can vote the director out, it's often better to allow the director to resign with dignity. Because your nonprofit likely depends on the goodwill of the public for financial and programmatic support, a disgruntled past director, even one who was at fault, can be a public relations nightmare and call the quality of your organization's leadership into question.